Are you thinking about getting a tattoo? You might first want to consider these five potential health risks. Tattoos remain popular and people get them for a multitude of reasons. But before you finally make the decision to "ink" your skin, it’s worth understanding all the potential risks. Cape Town dermatologist Dr Ian Webster previously told Health24 that you should only go to a professional tattoo artist. Severe complications can arise if the instruments are poorly sterilised or not used correctly. And always check that the tattoo parlour is hygienic and clean. 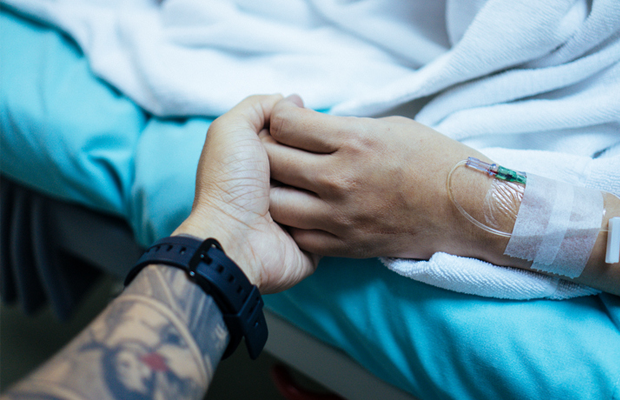 Transmission of serious infections like HIV and hepatitis, as well as allergic reactions may occur, and many people don’t consider these dangers beforehand, said Dr Webster. Tattooing implants permanent granules of pigment granules under the skin. 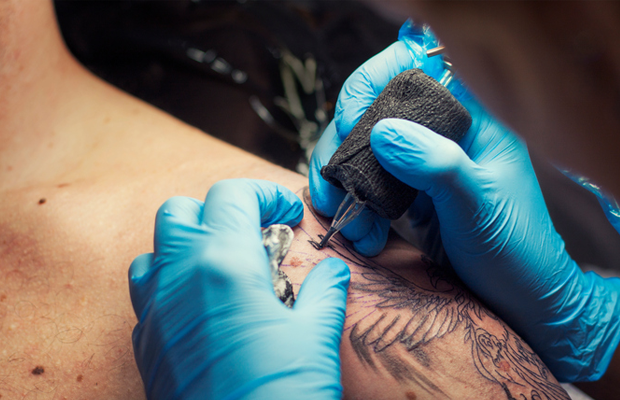 Aside from the usual dangers (HIV and other blood-borne infections), here are five complications you could experience after getting a tattoo. UK mother Nicola Hickman decided to get a tattoo of a heart on her ankle to show her love for her daughter. Everything was fine until six weeks later. “I noticed that the tattoo was bumpy and the red colour was fading. I went back to the tattooist to ask his opinion, and he said he would be happy to top up the colour when the bumps went down,” Hickman told the Daily Mail. Hickman was allergic to the red ink. “The dermatologists took one look at it and were shocked. They’d never seen an allergic reaction like it before. They took pictures which they wanted to use for a report in a medical journal,” she said. Doctors had to surgically remove the growth that developed 11 months later, and she was left with a 4cm scar on her ankle. 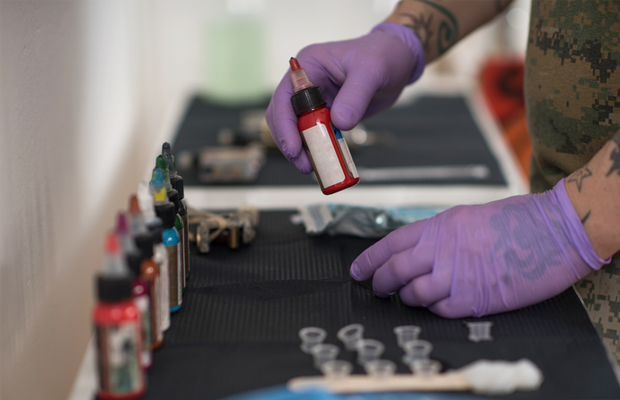 When a foreign substance is introduced into the skin during tattoo, it can cause a toxic or immunological response. This reaction can occur shortly after the tattoo or years later. German clinicians report a case in JAMA Dermatology where a man wanted to have multicoloured tattoos removed from his arms and chest. However, doctors noticed a suspicious-looking mole inside a tattoo on his right arm, which they recommended having removed before starting laser therapy. The man refused to have it excised and began laser therapy. Forty-seven surgeries and seven years later, the mole had to be removed and was diagnosed as stage 2 melanoma. Dr Robert Shmerling, faculty editor at Harvard Health Publications, says tattoo ink may hide changes to moles, making it difficult to evaluate. The ink can also move into underlying tissues and resemble the spread of metastatic melanoma. If you still want a tattoo, make sure you have it done on skin that has no moles or birthmarks, or ask your doctor to check any of the moles before you are tattooed. Tattoos may interfere with how your skin sweats – compared with non-inked skin, tattooed skin releases about 50% less sweat. “We also found the sodium in sweat was more concentrated when released from tattooed skin,” Maurie Luetkemeier, a professor of physiology at Alma College in Michigan, said. 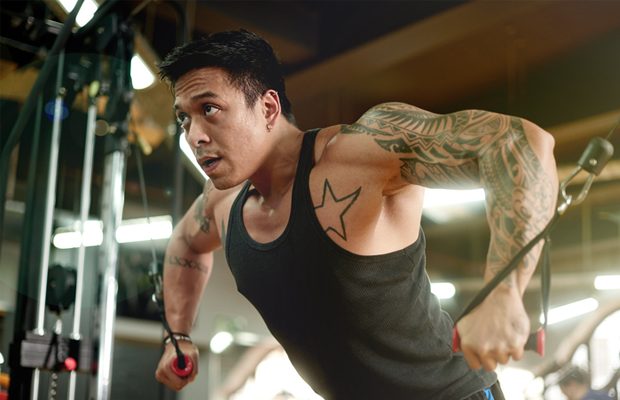 Your skin usually reabsorbs sodium and electrolytes released during perspiration, but he says tattoos may partially block this reabsorption. It won’t really matter if you have a single small tattoo but if you have a large tattoo – particularly on your back, arms or other areas with many sweat glands – your body may struggle to cool itself down and hold onto nutrients. “You look at someone in the military, where tattoos are very prevalent, and if they’re exposed to high heat and a heavy workload, there could be thermoregulatory problems,” Prof Luetkemeier said. He does add that this is speculative, however, so more research may be needed – but it’s worth keeping in mind if you are planning a large piece of ink on your body. An article in the Journal of Cutaneous and Aesthetic Surgery says tattoos can cause bacterial infections caused by Streptococcus pyogenes, which could lead to impetigo, erysipelas and septicaemia; Staphylococcus aureus can cause rare toxic shock syndrome; skin and soft tissue infections can be caused by community-acquired methicillin-resistant S. aureus (CA-MRSA); treponema pallidum can cause syphilis; and Mycobacterium leprae which causes leprosy. A case study published in BMJ Case Reports refers to a man who got a leg tattoo and then swam in the Gulf of Mexico. He was admitted to hospital with an infection with the bacterium Vibrio vulnificus. He suffered from skin necrosis and septic shock for two months before dying. While the man didn’t die directly from the tattoo, he did have chronic liver disease. Unfortunately the recently tattooed skin allowed the bacterium, which he was exposed to in the sea water, to enter his blood stream. “Infections can also occur with exposure of open wounds to contaminated salt or brackish water," the study adds. "However, this represents an uncommon mechanism of infection." You’re probably not thinking about MRIs when you’re having a tattoo done but studies show that metal-based ink tattoos can react with magnetic resonance imaging studies. An article in the American Journal of Roentgenology reports a man who received second-degree skin burns in two tattoos while having a cervical spine MRI. He complained of a burning sensation on his arm – his tattooed skin was raised and swollen. In another case, a professional football player sustained a burn on a tattoo following an MRI of his pelvis. Fortunately this reaction is rare but if you are thinking about getting a tattoo, experts suggest avoiding iron-based inks that may interfere with MRIs, or alerting your doctor if you already have such a tattoo. What kind of reactions may occur after getting a tattoo? According to the US Food and Drug Administration, you could notice a rash in the area of the tattoo or develop a fever. More severe complications include a high fever, chills and sweats. You may need to treat an infection with a course of antibiotics or have surgery. A rash could indicate an allergy to the ink – remember, tattoo inks are permanent, which means the reaction may persist. See your doctor if you have any concerns about, or adverse reactions to tattoos.